Bentley Motors has announced its financial results for the first quarter, ending 31st March 2008, reporting consistent profitability despite a slight decrease in sales. 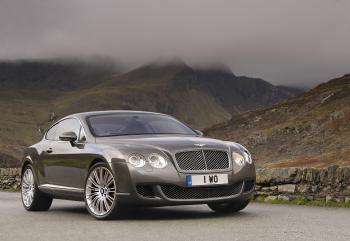 Bentley net revenue decreased by €15m or 4.4% to €338m compared to the first quarter of 2007, primarily due to exchange rate effects. However, operating profit increased by €1m to €39m compared to the same period in 2007. 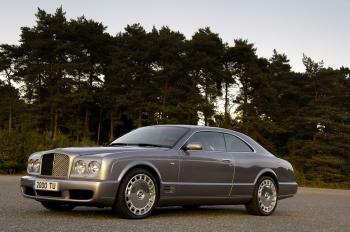 Global sales declined by 17.8% in the first quarter of 2008, reaching 2,292 units. This was almost entirely attributable to calendarisation, with the first quarter of 2007 having seen the very successful launch of the Continental GTC which, like most new model introductions, attracted considerable initial sales before settling down to a more consistent sales pace throughout the year. Taking out this seasonal adjustment, the sales pace in 2008 is broadly consistent with 2007. North American sales were down around 22%, in particular on the west coast and in southern regions, which have been affected by the credit crisis and declining property markets. However, strong growth in emerging markets such as China, up 133.3%, and the Middle East, up 10.4%, is having a compensatory effect. Arnage and Azure family sales decreased by 15.9% in the first quarter; however, with deliveries of Brooklands beginning, sales are expected to increase in the second quarter. Strong demand continues for the Continental GT Speed resulting in a first quarter sales increase of +20.8% across the Continental GT model line. “Coming after a milestone year in 2007 when the company surpassed the 10,000 model sales mark for the first time, these results were to be expected”, said Stuart McCullough, Board Member for Sales and Marketing. “However, when we take into consideration the fast start we achieved in 2007 with the Continental GTC and the nervousness that surrounds the financial markets, then Bentley sales are proving to be very resilient, and our overall pace remains similar to last year.